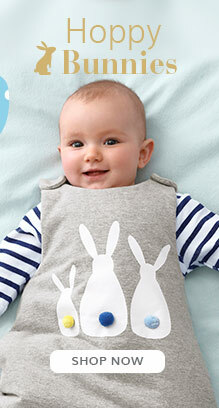 Baby dungarees are a cute and practical addition to your little one’s wardrobe. We have various designs and colours to choose from, perfect to mix and match with other clothing. Pair with a T-shirt in the summer or a long sleeved top in the winter. Material ranges from denim to cotton, making them suitable for any occasion. Rompers are ideal for both boys and girls. They also feature press stud fastening to make changing nappies quick and easy for young babies.